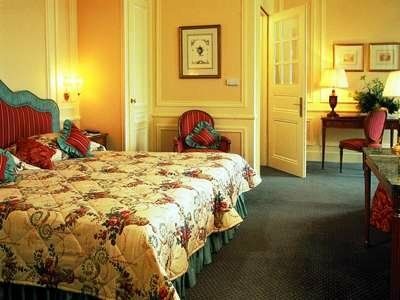 The Beau Rivage is the oldest hotel in private hands in Geneva and the last privately owned five star establishment. Built in 1865 by Jean-Jacques Mayer, it has been developed continuously to keep abreast of current tastes. Located on the shores of Lake Geneva, Beau-Rivage is far more than a 5 star luxurious and efficiently run palace. It is an institution which has always kept its identity and therefore stands out today as one of the leaders in what the world of tourism most calls for : authenticity, a sense of belonging. Geneva Hotels have been divided in 3 main categories : Luxury Hotels, Charming Hotels, Cheap Hotels, Of course the price and the level of service and comfort depend on the category - If you want to see all hotels listed please select your prefered hotels category and see our exclusive hotels rates - We wish you a pleasant stay in Geneva. Hotels-geneve.com is dedicated to Geneva and its hotels - This site also provide information about the city itself and the tours opportunities departing from Geneva - The Beau Rivage Hotel in Geneva is one of the properties selected - Room rates have been negociated and should be very competitive. We hope that this Geneva Luxury Hotel Website will help you in planning your trip to Geneva - Thank you for visiting Beau Rivage hotel website page : Booking and online reviews.